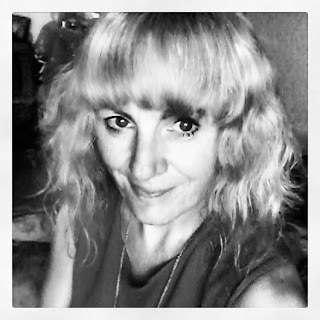 Today I have the very lovely Siobhan Curham here for a special guest post for Anti-bullying Week to promote her FREE non-fiction e-book which she has written as a guide to help those who have been bullied to work through their feelings, gain confidence and become happier people. I've read the book and I thought it was fantastic. Very interesting, hopeful and inspiring. 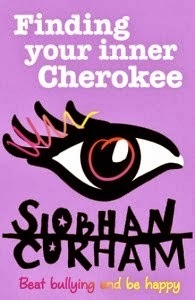 As a teenager I was a victim of bullying and all these years later and I still find the advice and support that Siobhan Curham has given in Finding Your Inner Cherokee something that I still need to hear, advice that I still need to be reminded of. I think it's a wonderful thing she is doing and I am more than happy to support and promote this book! When we think about the emotions that bullying causes, fear is often top of the list. But anger is just as common – and can be just as destructive if it isn’t dealt with properly. When you are constantly being picked upon, anger starts building inside of you like the red hot lava in a volcano. And this is perfectly understandable. What you are going through isn’t fair. It isn’t right. After a while you can start feeling furious at the injustice of it all. And if you don’t find a safe way of letting your anger out, you can start to turn it in on yourself. As a writer (and Official Word Nerd!) I am a great believer in the therapeutic power of the written word. The following exercises are featured in Finding Your Inner Cherokee and are the most effective ways I have found for releasing tension and anger, through writing. Find a time when you won’t be interrupted and turn to a fresh page in your diary / journal / random notebook. Imagine for a second that your feelings of anger are filling a tank inside of you. See your writing hand as a tap. As you start to write about how you’re feeling, let your anger flow out through your words. Get it all out on to the page. It doesn’t matter if there are spelling mistakes or commas in all the wrong places. As long as you are writing freely that’s all that counts. It is fine to swear and be as mean as you like. Don’t hold anything back. Write until you feel your anger fade, then when it’s all gone, close your eyes and take a deep breath. Just relax for a few moments and, when you feel ready, open your eyes and write down five things that you are grateful for. I know that some days it can be hard to find even one thing to be grateful for but make sure you do this last part of the exercise as it’s a great way of switching your brain from negative to positive. It doesn’t matter if it’s just that you’re grateful for the opportunity to express yourself, or that the sun is out, or that you had something nice on your toast for breakfast. As long as it makes you feel grateful it’s all good. First off, don’t panic – I don’t mean actually send your bully a letter, but writing one that you will never send can actually be very therapeutic. Often, because we’re afraid of our bully, we don’t say anything when they start to pick on us. But that doesn’t mean we don’t want to say anything. I bet you have loads you’d like to get off your chest. Well, here’s your chance, in the safety of a letter that will never be sent. Okay, I can practically hear you yelling, ‘WHAT?!! !’ But please bear with me. I’m not asking to do this because I want you to be kind to your bully. I’m asking because I want you to be kind to yourself. Basically, what this means is that anger and unforgiveness are like poison. They eat away at you from the inside, keeping you tense and stressed and uptight. But your bully is completely unaware of your angry thoughts. So they carry on doing what they’re doing, oblivious – and you carry on hurting. By releasing your feelings of anger towards them, and forgiving them, you are actually setting yourself free. Instead of constantly stressing and feeling bitter, you create the time and the headspace to concentrate on far happier things. It’s obviously a lot easier to forgive once the bullying has stopped, but practising forgiveness while you’re still being bullied is a great way to ease your anger. Even if you find it hard to do it with any meaning, always write ‘I forgive you’ at the end of an angry letter to your bully. Remember that by forgiving them, you aren’t letting them off the hook, or condoning what they’ve done, you’re actually helping yourself to feel happier.